For more than 40 years, I've helped transform hundreds of Bay Area residential and commercial properties. Starting as an apprentice in the early 70's, I quickly realized what the pillars of a quality landscaping company should be in this highly competitive market: listen to the client, be reliable, and deliver personal, quality services at affordable pricing. They put in a new sprinkler system in front and back. They also took out and put in a new sod lawn They did a good job. Mr Fogg did the initial contact. He was very honest. There were some things I asked him to do and he said they didn't need to be done He gave alternative ways that didn't cost any money. With that, I started Jean Fogg Landscape in 1989 and have been serving, and satisfying, all segments of Bay Area customers since. A call to Jean Fogg Landscape typically means a call to me, as I'll be the one who works directly with you from the first call to the free on-site estimate to project management to final walk-through. 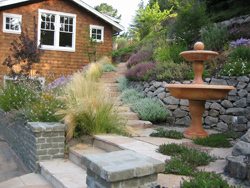 Jean Fogg Landscape takes a lot of the guesswork out of your project by offering a free design program so you can see where and what my experience, professional staff of landscapers will create for you even before a shovel hits the dirt. Whether it's your home or your business, you know landscaping makes a first impression - and a lasting one. 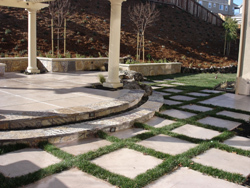 Why not leave it in the capable hands of a landscaping company that not only means business in the Bay Area, but also a quality, dependability and value? Call Jean Fogg Landscape today and let's get growing.